On December 14th, the Army Navy Game presented by USAA will take place in Philadelphia. My Military Life is going to start doing some book reviews. This book came up first, and after a busy month of running around I finally sat down to read it. After 17 years as an Army spouse, you would think I would have read my fair share of books written for military spouses. I haven’t; I have probably read three while I sat in the PX waiting for customer service to call my number. So when I had the chance to review Now You Tell Me, 12 Army Wives Give the Best Advice They Never Got, I was interested but not sure I could learn anything new. It was not the best attitude to go into it, I admit. I was pleasantly surprised. This book was an easy read, filled with great information, and I did get a lot out of it. The twelve chapters are written by twelve spouses speaking on different topics. The most interesting parts to me were spouses speaking about things on which I had no experience – imagine that! I thought the dual military spouse had fantastic information on family care plans and deploying with kids. I will also take the advice about what room to unpack first the next time I PCS; it is not what you might think. At the end of the book they have some great charts with commonly used abbreviations, ranks, units, military time, and 16 ways to help military families feel appreciated. 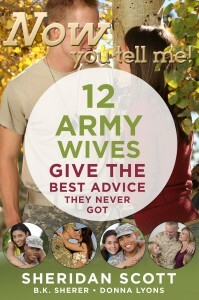 I would recommend this book, especially to new spouses, though any Army spouse would get something out of it. I think this would also make a great gift to a friend or a family member who wants to understand what you’re talking about! Check it out if you’re looking for information from different perspectives and not just one chick telling you how she does it. Then send me your favorite mil spouse book to read! I have some catching up to do. *I received a copy of this book to review and the opinions are my own. I am accustomed to being the new kid on the block, like all of you are I am sure. The only difference is that though I have not moved recently; I am new to MyMilitaryLife.com. My name is Tara. I am a 17 year Army wife with four kids. I am originally from Arizona and never planned on leaving my hometown. Then, like all military love stories, I met my man and the future I thought I had planned was replaced with a very different, yet exciting, one. I love almost all aspects of being a military spouse. I enjoy the moving, especially overseas. 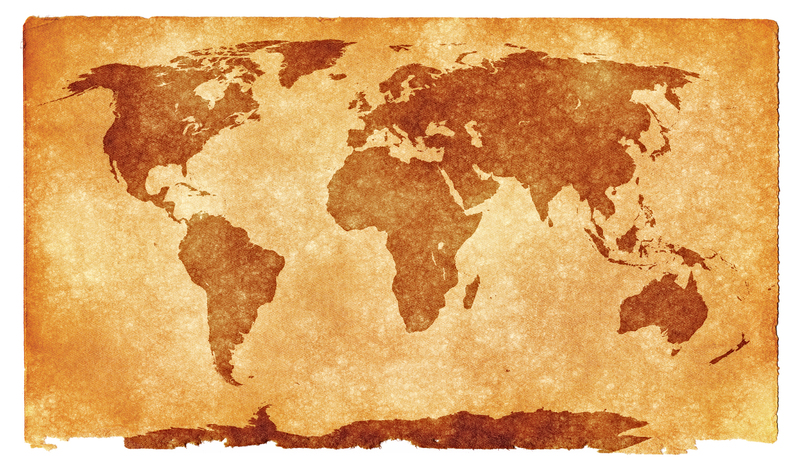 So far we have Germany, Korea, and Okinawa under our belts; hope we get one more country before retirement. I like making new friends, and exploring. Mostly I know that the best part of being affiliated with the military is the way the spouses support each other. We know how to take care of people, to make them feel welcome and how to cut through the bologna to quickly find out if you’re going to be friends. Every time my mom hears about me reconnecting with an old friend from four duty stations ago or the fact that my neighbor came over and helped me clean out and organize my garage, she says, “Tara, you do know that doesn’t happen in real life, right?” While that might be true, this is our real life right now and I am blessed. The openness of military spouses is how I am now meeting all of you. Military life can take you places you never thought possible. 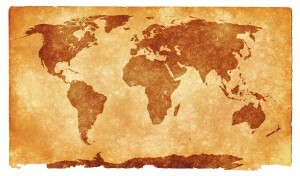 What will your world map look like? My husband says that I never meet a stranger, good or bad I am not shy and will chat with anyone. I met Wendy of MyMilitarylife.com during a class I was teaching here on the Army post where we are stationed. I volunteer at ACS, Army Community Service. Wendy, in her knowledge-seeking ways, was there taking some classes that she can in turn bring to you all. We met and hit it off, and bam, I was a part of the my military life family! What an amazing bunch of ladies there are here. I am excited about blogging here and being a co-host on the radio show (which if you haven’t checked out yet, you really should!). There are a lot of new things coming here at Mymilitarylife.com; I am just glad that I am one of those things. So grab your coffee, tea, or wine, come sit on my porch and let’s get to know each other! It is great to meet you! What’s your favorite part of being a military spouse?